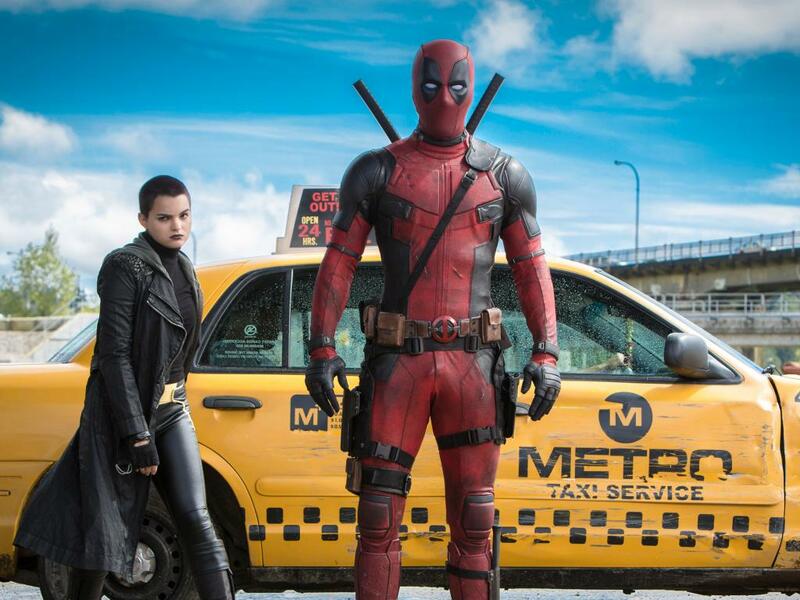 This is the picture of Deadpool and Negasonic Teenage Warhead in the movie of Deadpool. 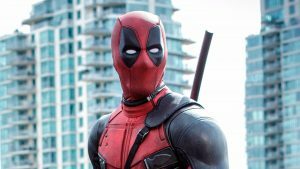 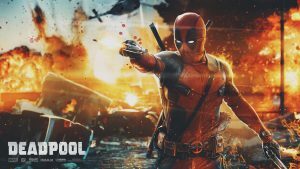 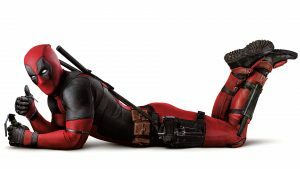 Deadpool is 2016 American superhero film based on the Marvel Comics character. 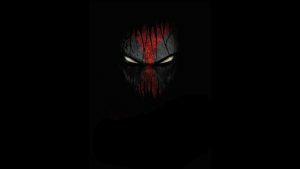 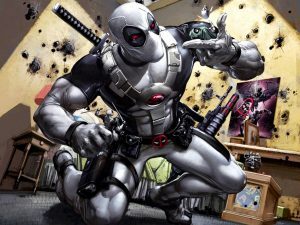 Originally, the character was created by Rob Liefeld and Fabian Nicieza and appeared in in The New Mutants #98 (cover-dated February 1991). 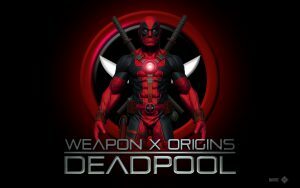 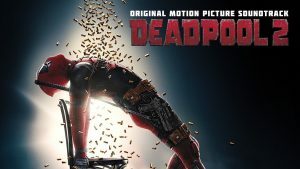 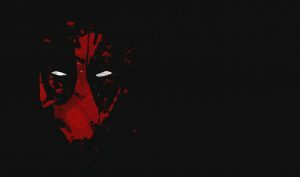 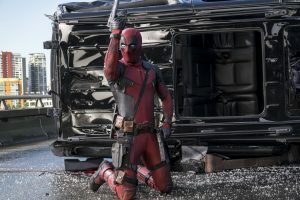 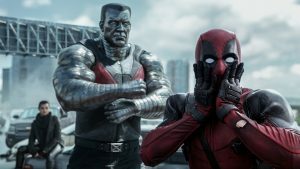 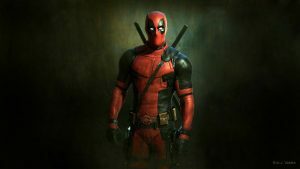 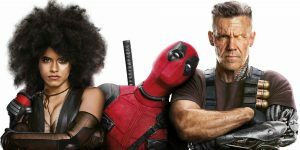 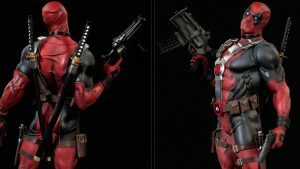 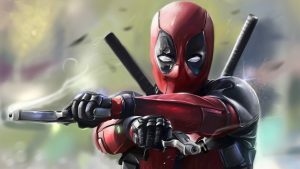 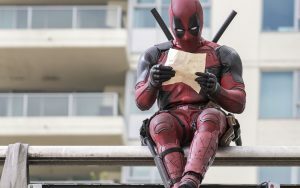 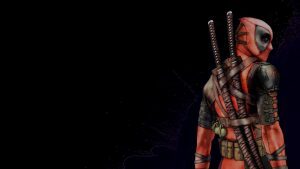 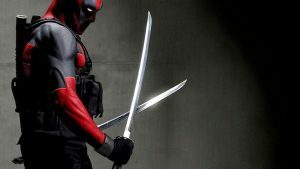 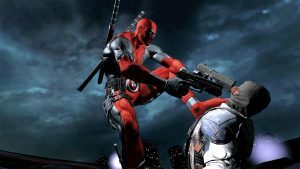 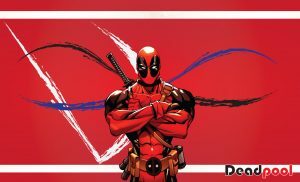 The real name of Deadpool is Wade Wilson, a former special forces operative who works as a mercenary in New York City. 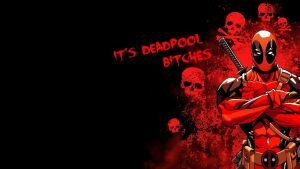 This picture was taken when Deadpool and other superheroes in an operation to save Vanessa, Wilson’s girl friend. 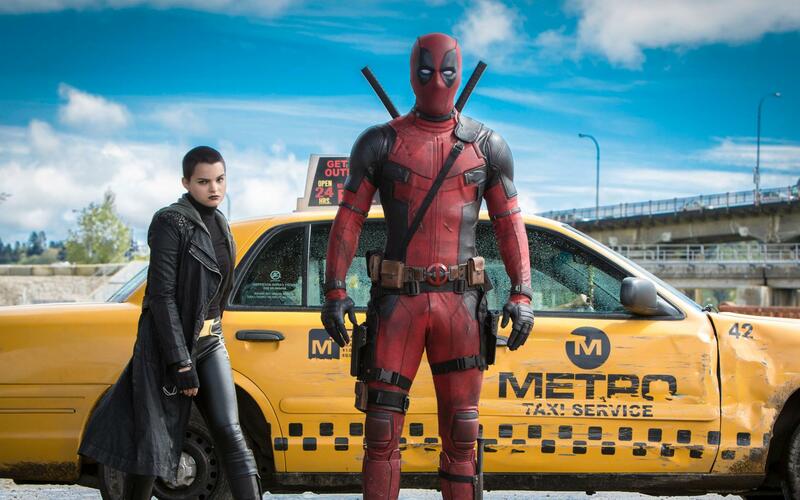 One of the superhero in this film is Negasonic Teenage Warhead. 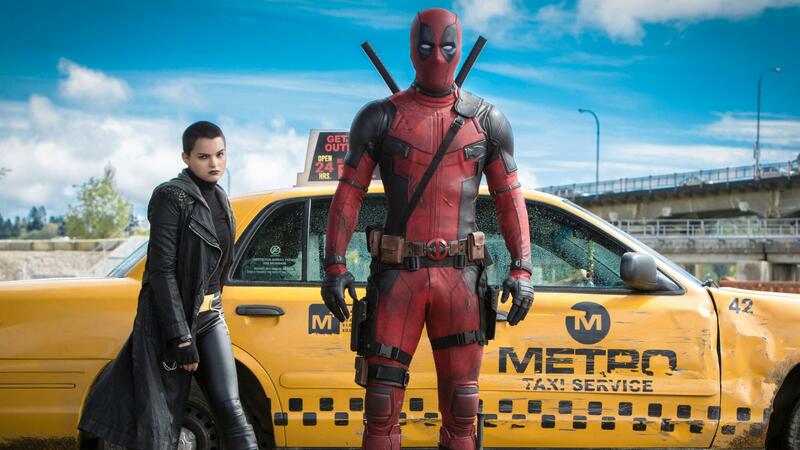 Negasonic Teenage Warhead is a young X-Men trainee who is paired with Colossus and aids Deadpool in his fight against Deadpool’s enemies. 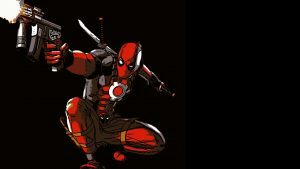 Her power is the ability of telekinetic detonation within a certain radius of herself, visualized in the movie as an expanding energy bubble evoking plasma and atomic blasts.